While traveling, Designer Momoko experienced many stimulating encounters with beautiful art, detailed architecture, and unique people. Each night she was immersed in her sketch book, creating designs inspired by these memories. One night in Paris, she gazed at the glistening sky and thought "How can I express my sense of awe at the beauty in this world?". This was the beginning of LA NUIT ÉTOILÉE. As the world becomes smaller through technology and travel, we see different cultures becoming more uniform. Fashion provides us with the freedom to explore a surreal world, to experience individual cultures, and to express our personalities with the details and colors that resonate in our hearts. Inspired by her experience studying abroad in Los Angeles and New York, Momoko continues to travel the world driven by her interest in art and fashion. She is strongly attracted to Hellenistic culture, particularly from Europe. Momoko launched LNE, a fashion brand inspired by the wonderful things she has encountered in her travels worldwide. Her first collection was released in Spring/Summer 2014. Momoko designed uniforns,costumes, was the chief stylist for the film Enishi: the Bride of Izumo, and has also supplied costumes for various other film and television productions. 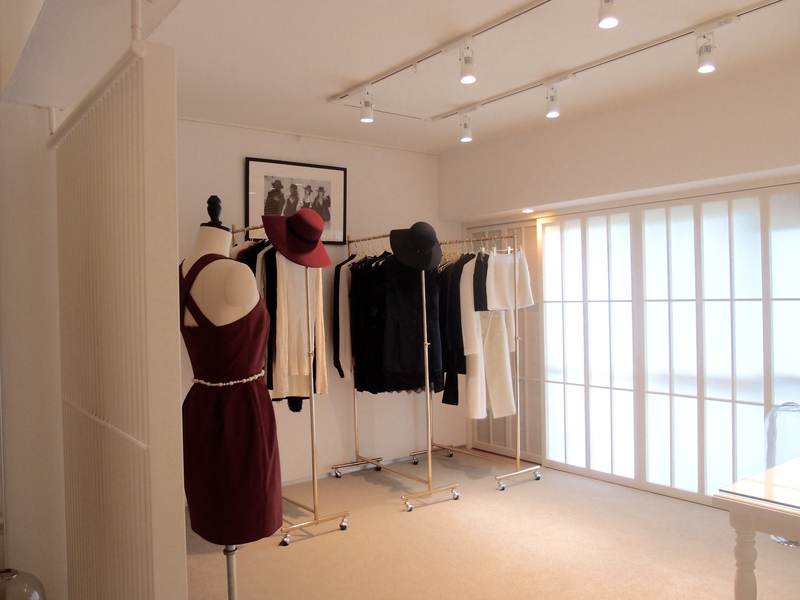 In September 2015, she opened LA NUITÉTOILÉE Omotesando in Tokyo, a store centered on her brand and carrying items personally selected from around the world.